Here’s what I made with those luscious threads and fabric purchased during our crafty field trip to Little Thimble. 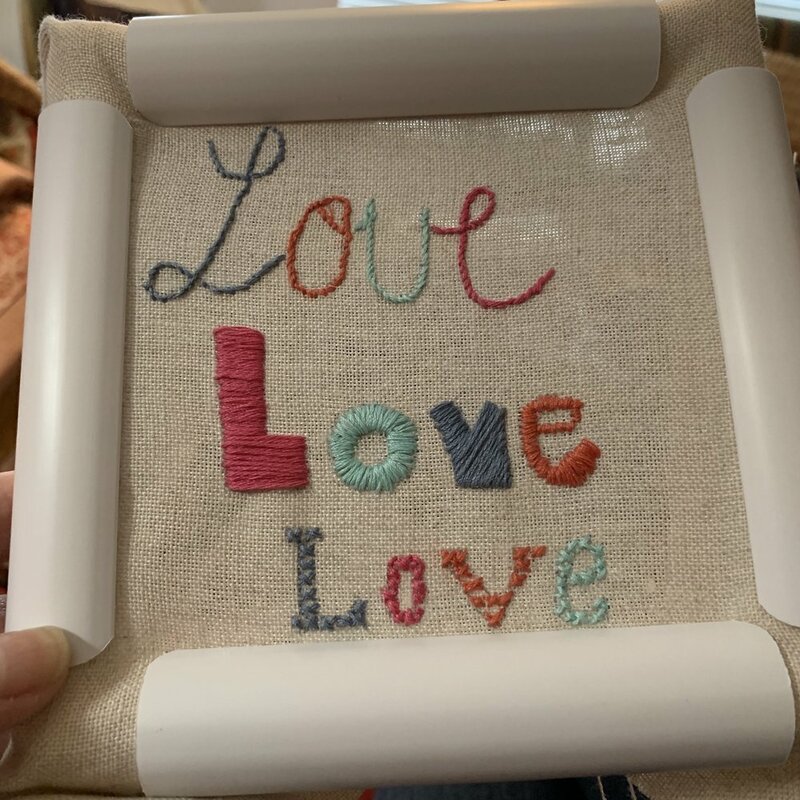 I used a pencil to freehand the LOVE letters and finished the embroidery while visiting my parents. I asked for suggestions on Instagram on how to finish this little piece as I enjoy embroidery but never know what to do when it’s complete. I received some great suggestions and am in the process of sewing up a gift for a friend. Stay tuned! The hundreds of tiny Liberty hearts and linen squares have taken over my design wall!! Since I made the decision to make this king sized for our upcoming 35th wedding anniversary, I better ramp up the production of the hundreds more needed. 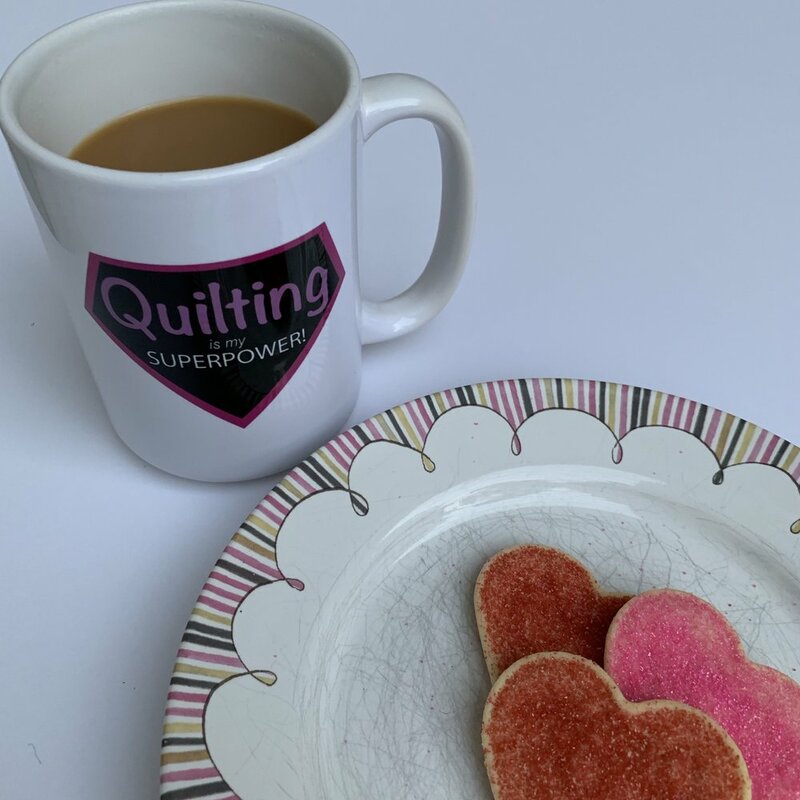 These pretty heart cookies were used for styling photos when I added Quilting is my Superpower coffee mugs to the shop. Looking for a unique Galentine’s gift for your Quilty friend? Take a look around my Etsy shop as I have added a few new items and have a few more coming next week.